The Medicare program imports approximately $100 billion a year in medical equipment and prescription drugs. Nearly all of these imports can easily be replaced by domestic alternatives at the same or even at a lower cost. At the same time as we limit imports of these medical products, we can institute a central purchasing department within Medicare to negotiate better prices with domestic manufacturers. There are about two million new wheelchair users in the United States every year and Medicare is paying for most of them. China is the largest supplier of wheelchairs even though there is a healthy and competitive U.S. manufacturing sector. Eighty-percent of prescription drugs are imported and Medicare is paying for them. Their quality is highly suspect, and most of these drugs were developed in the United States, with development costs written off U.S. taxes by the manufacturers. Many of the durable medical products, wheelchairs, rollators, canes, crutches and other devices are manufactured in states won by President Trump. For example, leading medical-equipment manufacturer Graham Field operates large factories in Wisconsin and Georgia. Another state won by the President, Pennsylvania, is home to wheelchair and scooter manufacturers Pride and Golden Technologies. Spinlife makes scooters and wheelchairs in Columbus, Ohio. 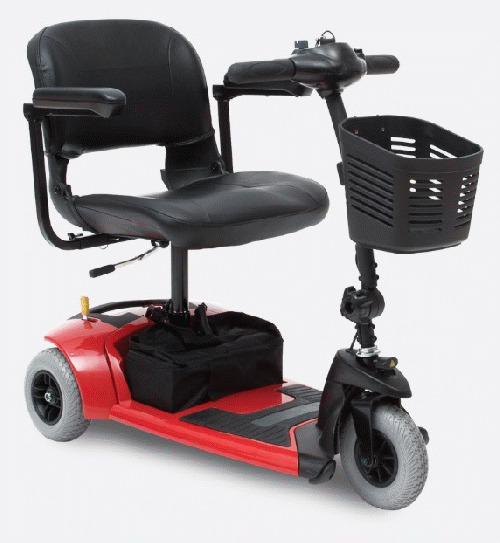 Pace Saver, based in Kansas City, Kansas, is a leading manufacturer of wheelchairs and scooters. All of its products are made in the U.S.A. Pace Saver notes that "We buy over 5,000 parts manufactured by 580 vendors located in 44 different states. The efforts of people from all over the United States go into our mobility products." That is a perfect description of how the multiplier effect works to create jobs. Of course, many medical-equipment products are made in blue states. Roho makes cushions for wheelchairs in its Belleville, Illinois factory. Troy Technologies manufactures wheelchairs in Torrance, California. Eighty-percent of prescription drugs are now made in China and India even though most of these pharmaceutical products were developed and manufactured in the United States. Medicare pays for more than $50 billion in prescription drugs annually that are imported. At the same time, the Food and Drug Administration has admitted that it does not have the inspectors to check on the quality of drugs from China and India. When it has inspected these Asian drug factories, most have failed. For example, the FDA banned the importation from India of antibiotic drugs from Sun Pharmaceutical Industries and all drugs made in India by Ranbaxy, including generic Lipitor. In September 2015, the FDA banned 15 drugs coming out of the Zhejiang Hisun, China, because of "systemic data manipulation" in the facility making drug quality highly suspect. I am proposing the Buy American Medical Supplies Acts (BAMS) to require Medicare to purchase and use American-made wheelchairs, scooters, crutches, walkers, and prescription drugs when Medicare pays the tab. In the rare case when domestic sources are not available, Medicare will be allowed to buy imports. In all cases, Medicare will be empowered to negotiate the best deal for the country. Currently, the United States pays more for drugs than every country in the world despite the fact that the U.S. develops and produces many of these products. This proposal will save money while creating jobs.